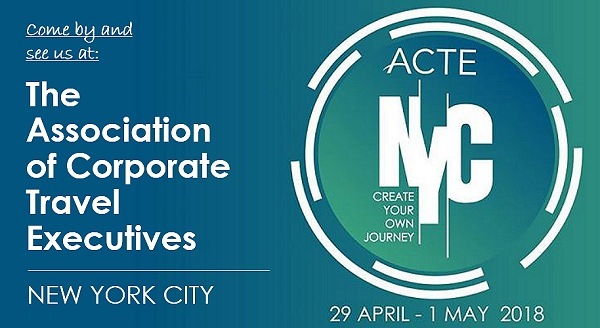 Teplis Travel is excited to participate as a sponsor of this year’s ACTE Global Summit & Corporate Lodging Forum, April 29 – May 1, 2018 in New York. As a leading corporate travel agency, Teplis understands the importance of continued education, exploring best practices and recruiting strategies to help travel buyers and travel planners stay one step ahead. We are excited to join this conference to network with businesses, vendors and industry colleagues to learn how changing trends are shaping purchasing decisions, how innovation is enabling new processes and how we can continue to leverage our relationships to optimize the value we bring to our customers. If you are planning to attend this year’s ACTE Global Summit, be sure to visit our booth during the InterACTE Expo. To learn more about this exciting event, click here.